There is no doubt that the Cadillac CTS line represents the revival as research for this brand, and on which not hesitate to develop new declinations to offer at least one product in each of existing niches. Thus, after the CTS sedan and CTS-V is added here has a family character sporitf which intends to reach a new clientele of friante multifunctional vehicles, without wanting to spawn in the world of big SUV or crossover. Moreover to this chapter, this newcomer offers a loading capacity ranging between 720 and 1,642 liters once the lowered seat. Aesthetically, the latter can be effectively cataloged as a family and in the very broad sense of the term. Forms has both rounded and massive grant him a silhouette that looks impressive at first glance, while in reality it presents equivalent to those of the sedan's dimensions. Oshawa (Ontario), September 1, 2009 - Cadillac has added a new model to its range: the 2010 CTS Sport Wagon will be available in Cadillac dealerships from September. 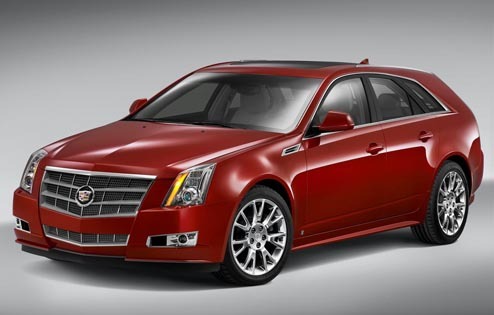 The base MSRP of the new CTS Sport Wagon is $ 44,325. It offers the same features and conceptual techniques as the main model Cadillac CTS sport sedan, but his powerful body doubles the utility of the car space. The model equipped with an integral transmission is offered has a base MSRP of $ 46,950. Marc Comeau, vice-president of sales, after-sales and marketing for GM of Canada stated: "Family first Cadillac in Canada presents new qualities in matters of versatility and energy efficiency that are consistent with the changing priorities of consumers of luxury cars. The Sport Wagon offers an impressive versatile cargo space while maintaining balance, boasts the industry, between performance and luxury of the CTS, and a highway fuel consumption of just 7.2 L/100 km. " 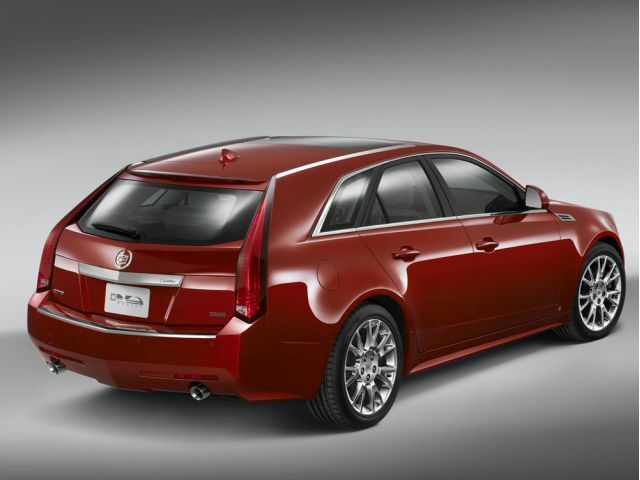 The engine of the CTS Sport Wagon is equipped with direct injection technology. It offers remarkably low fuel consumption and lower emissions while providing extra power. Engine series is a V6 3.0 L direct injection and variable valve timing offering 270 horsepower. The optional engine is a 3.6L V6 has direct injection develops a power of 304 horses. Both are coupled to a six-speed automatic gearbox that reduces fuel consumption. Unlike many competitors which require premium fuel, these two family CTS Sport assemblies in St. Catherines, Ontario, use ordinary unleaded petrol. Although its External dimensions are identical to those of the Award-Winning CTS sport sedan, the new Sport Wagon has a carrying capacity almost two times higher, or 720 liters (25 ft?) Behind the rear seats and 1,642 liters (58 ft? ) when they are folded. The features available as options include all those security-related, comfort and convenience at the cutting edge of technology well equipped CTS sport sedan, including an integral transmission, an internal 40 GB hard drive and a screen of retractable navigation.